Maryland marinas can now apply for Pumpout Operations and Maintenance grants through the Maryland Department of Natural Resources. These grants reimburse marinas for the expense of operating and maintaining pumpout stations. Applications due April 15. 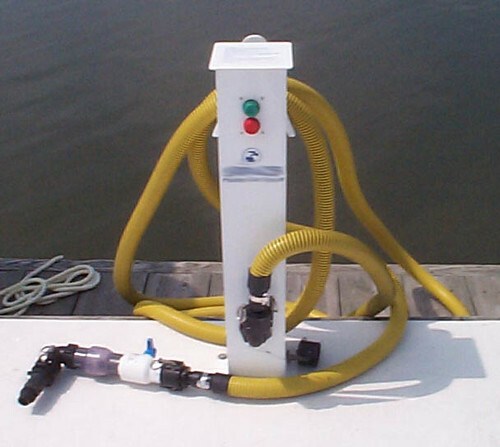 State and federal laws prohibit the discharge of raw sewage from boats, so reliable pumpout stations at marinas are essential for the thousands of boats traversing Maryland waters. In 2017, marinas participating in this program removed about 586,000 gallons of waste from recreational boats for proper disposal ashore. Participating marinas must agree to serve the general boating public during reasonable business hours; can generally charge no more than $5 per pumpout; and must deduct any pumpout charges from expenses before seeking reimbursement from the department. State law requires marinas with more than 50 slips, as well as any new or expanding marina, to have a pumpout station. Grant applications for new installations or replacements, in addition to operations and maintenance, are also available online. The grants are made available through federal Clean Vessel Act and state Waterway Improvement Fund, which are both funded by fees and taxes paid by boaters.